Protection devices must react quickly and selectively in the case of a fault. As a result of the expansion and modification of networks, protection concepts and settings now change more and more quickly. In addition to regular tests, protection devices must be comprehensively tested after every change. We test your protection devices quickly and reliably with our range of automatic test instruments from the ARTES product line. We cover the full spectrum of electro-mechanical and digital protection relays made by any manufacturer and in all voltage levels. This includes classical protection functions such as DT and distance protection as well as the protective integration of distributed generating units. 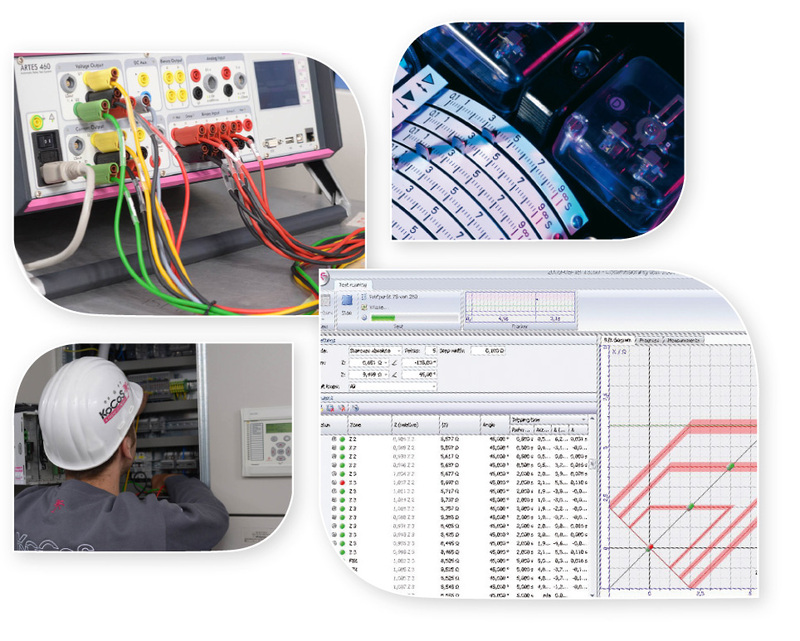 If it is required, we check the complete process chain, from the primary measurement equipment through to the connection with your control centre system. The protection devices on the secondary side are tested in accordance with customer specifications. The protection test is carried out from the terminal strip in the cabinet or in the low-voltage niche with a digital test device. All signals to and from the protection device are tested. During the test, the measured values and, if necessary, the direction of the load flow are checked on the device concerned. The test results are documented and delivered together with the protection settings. Depending on the scope of services required, we also configure your protection device or update the firmware of the devices. Function test of the digital command and signalling contacts from the protection relay through to the control system for protection devices connected to control systems (bit test). Determination of the transformer type and metrological determination of the transmission ratio. Apparent ohmic resistance measurement in the current path of current transformers or combined transformers.